Watch: Arutz Sheva meets the Israeli startup that has one goal - to save more lives by helping drivers worldwide. Before leaving Israel, Arutz Sheva had the opportunity to meet the Ziv Livne, VP Business Development at TriEye Technologies. 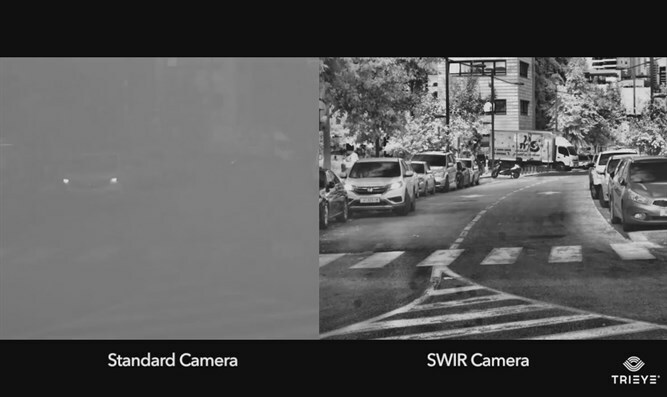 TriEye’s SWIR imaging is imperative for ADAS and AV’s as it providing new, highly valuable imaging data which standard vision cameras simply cannot see; allows superior sight under any condition, improving safety and enabling the autonomous car revolution. TriEye unique semiconductor design uses patent-pending technology which allows the production of shortwave infrared (SWIR) cameras at a fraction of their current cost. While existing solutions rely on expensive InGaAs-silicon process, TriEye’s patented Silicon based SWIR detector is a CMOS compatible solution which leads to X1000 cost reduction comparison to similar solutions, all the while maintaining high performance levels.